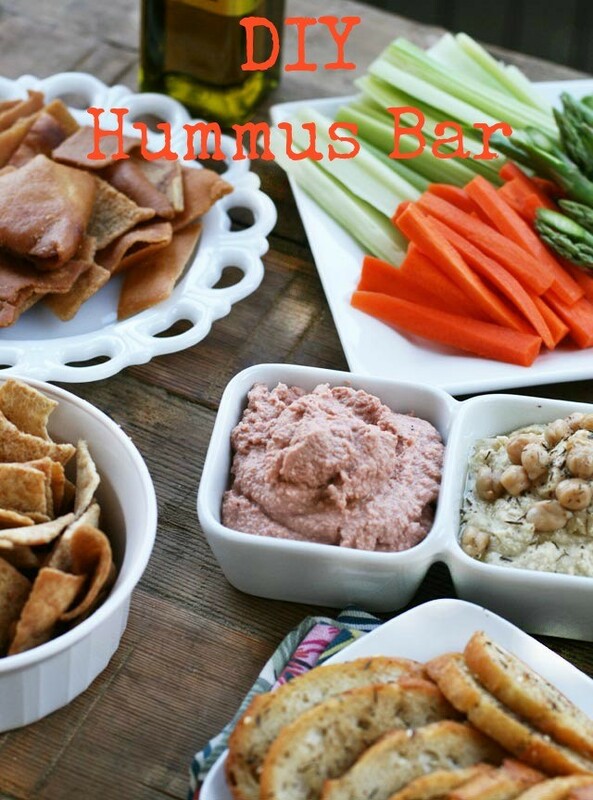 I recently put together this hummus spread for a friend’s bridal shower. I made three different kinds of hummus: Plain hummus, carrot-sesame hummus, and beet hummus. This idea is cheap, easy, and a breeze to pull off. You can buy everything you need in one grocery trip, and you don’t have to make anything from scratch if you don’t want to. Like this idea? Try this similar idea when you’re planning breakfast or brunch for a group: European-style breakfast bar.